A Rachman-style landlord has decided to make homeless and evict over 100 of his tenants during the week of last Christmas from his rundown apartment building located in Nicosia. He has given the occupants eight-days notice to vacate the premises and turned off the electricity and water supply as a way of intimidation. Yet, no authority or the police intervened; at least, not until the state television exposed the plight of the distraught tenants! Exposing the quandary of the tenants with no place to go but the streets has outraged the nation. The public was mortified that such practices by some landlords and often pillars of the community is condoned in Cyprus. Shamefully, the local authorities seem to turn a blind eye to such anti-social behaviour; it appears as if citizens of poorer standing can be discarded at will with no recourse! This is not an isolated case and the government is responsible for the new frenzy in rental behaviour at the expense of those less fortunate citizens of society. As of April 21 of this year, rent controls are being abolished and a “free market for all” replaces social responsibility! Capitalizing on the forthcoming law, some landlords are evicting tenants from their homes so they can demand higher rents plus 8% annual rent increase and as much as 6-months security deposit instead of the customary two months! With the arrival of AirBnB, rents have in fact skyrocketed and for private investors this is a golden opportunity to capitalize on their investment. Meanwhile tenants are priced out of their homes and neighbourhoods. A rental epidemic is now in process and property-owners started converting basements, storerooms and garages as flats or rooms for AirBnB rentals. Meanwhile, well-connected companies fortified by the new law have set out to purchase bank foreclosures and home repossessions at bargain prices for conversion. The shortage of affordable accommodation has certainly created a serious problem for people that rely on rentals but also for students and young working couples. In fact, the failure to invest in affordable housing is the reason why a wider gap exists in Cyprus today between “the haves” and the “have-nots” than any other time before. Under the current policy change and the government’s political attitude, it is only a matter of time before the nation is faced with a greater public problem on it hands: homelessness! If that was not bad enough, the rising tide of illegal migrants has now added to the looming problem of homeless people! The influx of refugees can be claimed as a social time bomb that has caught the Cyprus government napping! Under EU regulations, Cyprus is obliged to provide support and shelter to all refugees or asylum seekers entering the Republic. Instead of learning from the “refugee/asylum” experience of Greece and the demographic impact it has on society and local way of life, the government has failed to foresee the burgeoning risks of refugees landing on its shores or sneaking across the buffer zone. As a result of its complacency, the EU and UNHCR have criticized the government for not doing enough to provide accommodation and assistance to migrants. Oddly enough, eight out of ten new arrivals are mostly young men that have paid smugglers as much as €2.000 to enter their newly-discovered destination of the Republic in the hope of getting on the EU gravy train. Last year 4.500 people landed in Cyprus to join the hundreds of others seeking international protection. The island is now considered a honey trap and a hub of activity for traffickers transporting human cargo via the occupied area or on rickety boats from Turkey to be abandoned at the mercy of the sea and rescued by the Republic’s coastguard. Most end up in Pomos and Latchi marinas to be transferred into receiving centres for processing. The current conditions, however, pose a major problem for the authorities; not enough centres are available to accommodate the flow of newcomers! With a backlog of more than 8,000 asylum claims, the situation is aggravated by the fact that – for obvious reasons – the main Kofinou Reception Centre no longer accepts single males. The shortage of accommodation coupled with a monthly €100 per person rent-allowance leaves asylum/refugee recipients below the poverty line. Those that slip through the net end up sleeping rough or become easy targets for exploitation in a cycle of perpetual destitution in the land of milk and honey. Since the government’s election win in March 2013 and EU-Troika’s Bail-in robbery (emptying people’s bank accounts without consent) the new government carved out a new course for Cyprus; neo-liberalism! This calls for the privatization of national industries by also trusting the forces of a market-economy to drive the nation forward! Unfortunately, when private corporations are in control and driven by greed at the top, there is little hope for those at the bottom! True to its dogma, the Cyprus government did exactly what other nations have tried and regretted it; the break up of national industries and their sale to private corporate investors on the cheap! In its wisdom, it also sanctioned mega projects aimed specifically to cater for an elite sector in society and plutocracy; projects such as tower blocks of high-class apartments selling at €1.5 million and as much as €4.0 million per unit. It relaxed zoning laws allowing the development of commercial/residential restricted projects on the seafront; introduced the opening of casinos but most importantly; the selling of golden passports! As often, none of those earnings and EU-Troika loans including the Bail-in cash amounting to billions of euros trickled down to the population or the infrastructure. Instead, billions have been syphoned off to bail out corrupt banks and to maintain a plutocratic system and status quo. The scarcity of affordable housing and lettings plays a critical role in any society and yet successive governments never did encourage programmes to build new stocks of subsidized housing for citizens but rather relied on private developers to fill the gap – they never did; and why should they without financial incentives? 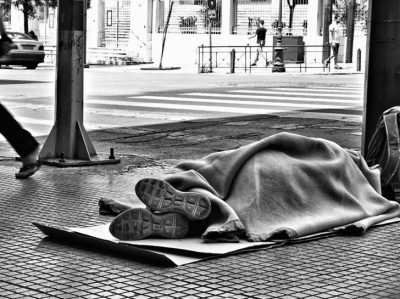 In fact, governments have been in denial to recognize that a housing problem exists in Cyprus but the Interior Minister recently broke ranks and has acknowledged that: “homeless people really do exist in Cyprus”. But the greatest cause of homeless people in Cyprus is yet to come; the evictions and mass repossession of homes by the banks and third party associates! The Parliament (Vouli) passed a Bill last year allowing banks –for the first time – to apply a fast-track repossession of homes. To “legitimize” the seizure of properties, the government has licensed a number of auction houses (bailiffs) to handle the evictions. In the absence of a safety net homeowners can now find themselves in the streets without the full protection of the law. The banks did not waste time and began issuing “repossession” letters to thousands of “non-performing” and trapped householders. Under strict instructions by the European Central Bank (ECB) and Troika they embarked to unload their toxic loans and mortgages to foreign hedge funds on the cheap! Yet, MPs failed to insist that banks offer the same terms to those homeowners in trouble and save themselves from eviction! That was never part of the Troika scheme and recently, under the eyes of the news cameras a woman in Limassol with her three children were evicted from their house and made homeless! That’s what neo-liberalism is all about – the survival of the fittest! Without a strong and caring social-conscious policy in place, it’s the start of Homelessness in Cyprus! Trump’s surrender to the neoconservatives makes it impossible for an informed person to support him. He has signed off on the coup against democracy in Venezuela, and he has placed all life at risk by pulling out of the INF treaty with Russia. Putin has publicly announced that the consequences of Washington’s reckless and irresponsible decision to junk the INF treaty will be the targeting of the missile sites in Europe and also of the American command and control centers. As I write there is nothing on the BBC or CNN websites or anywhere else in the US print and TV media about the President of Russia’s clear statement. Trump has allowed the crazed neocons to raise the likelihood of nuclear Armageddon to near certainty, and it has gone unreported by the presstitutes. Not only is there no evidence for Washington’s claim that Russia has violated the INF treaty, violating the treaty is not in Russia’s interests. Russian intermediate range missiles cannot reach the US. The purpose of the treaty is to keep Russia from targeting Europe by preventing US intermediate range missiles from being deployed in Europe. Washington tore up the INF treaty in order to put intermediate range missiles on Russia’s border, thus endangering Europe. A hopeful person could perhaps reason that Trump, realizing that he is powerless to reduce tensions with Russia and to stop the wars, has decided to give free rein to the neocons in the expectation that they will so terrify Europe that Europe will break from Washington and NATO in an act of self-preservation. Perhaps Trump realizes that only the breakup of the Empire can stop the wars, and that the best way to destroy the American Empire is to give free rein to the crazed neoconservatives. What is important is not what political party or candidate that we support, but that we support truth wherever we find it. Most people are confused about this. If truth is on Trump’s side, and you support truth, people see it as supporting Trump. This shows how politicized and emotional American thinking has become. Andrew McCabe, former acting director of the FBI, has made it clear that the FBI, the Democratic Party, US media, former CIA director John Brennan, former director of National Intelligence James Clapper, and the US Department of Justice (sic) were, and are, involved in a plot to remove President Trump from office. The fraudulent “Steele Dossier” is the basis for the fraudulent “Russiagate” investigation. A number of laws have been violated by those involved in the plot. For example, spy warrants were obtained from the FISA court under false pretense, and there is little, if any, doubt that Brennan, Comey, Rosenstein, and Mueller are guilty of sedition and conspiracy against the President of the United States. By demanding that these government officials be held accountable, we defend truth and the rule of law, not Trump. Russiagate is a hoax, but the INF treaty and the open plot to overthrow Venezuelan democracy are not hoaxes. These, not conspiring with Putin, are the crimes for which Trump should be held accountable. 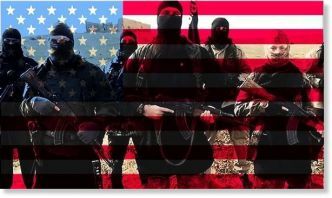 The definition of the term “terrorism” has been deliberately left undefined by the Western powers to use it as a catch-all pretext to justify their interventionist policy in the energy-rich Islamic countries. Depending on context, “terrorism” can mean two markedly distinct phenomena: religious extremism or militancy. If terrorism is understood as religious extremism, then that is a cultural mindset and one cannot possibly hope to transform cultures through the means of war and military interventions; if anything, war will further radicalize the society. However, by terrorism, if the Western powers mean militancy, then tamping down on militancy and violence through the agency of war does make sense because a policy of disarmament and deweaponization can be subsequently pursued in the liberated territories. That being understood that the Western powers aim to eradicate militancy through wars, but then a question arises that why have the Western powers deliberately funded, trained, armed and internationally legitimized armed militants waging proxy wars against the governments of Colonel Gaddafi in Libya and Bashar al-Assad in Syria since 2011 onward? Notwithstanding, it can be argued that war and militancy are only means to achieve certain ends, and it’s the objectives and goals that determine whether such wars are just or unjust. No-one can dispute the assertion that the notions of “just wars” and “good militants” do exist in the vocabulary; empirically speaking, however, after witnessing the instability, violence and utter chaos and anarchy in the war-ravaged countries like Afghanistan, Iraq, Libya, Syria, South Sudan, Somalia and Yemen, the onus lies on any “liberal interventionist” to prove beyond doubt that the wars and militants that he justifies and upholds are indeed just and good. In political science, the devil always lies in the definitions of the terms that we employ. For instance: how does one define a terrorist or a militant? In order to understand this, we need to identify the core of a “militant,” that what essential feature distinguishes him from the rest? A militant is basically an armed and violent individual who carries out subversive activities against the state. That being understood, now we need to examine the concept of “violence.” Is it violence per se that is wrong, or does some kind of justifiable violence exist? In the contemporary politics, I take the view, on empirical grounds, that all kinds of violence is essentially wrong; because the ends (goals) for which such violence is often employed are seldom right and elusive at best. Although democracy and liberal ideals are cherished goals but such goals can only be accomplished through peaceful means; expecting from armed and violent militants to bring about democratic reform is incredibly naïve and preposterous. The Western mainstream media and its neoliberal constituents, however, take a different view. According to them, there are two distinct kinds of violence: justifiable and unjustifiable. When a militant resorts to violence for the secular and nationalist goals, such as “bringing democracy” to Libya and Syria, the misinformed neoliberals enthusiastically exhort such form of violence. More to the point, there is a big difference between an anarchist and a nihilist: an anarchist believes in something and wants to change the status quo in the favor of that belief, while a nihilist believes is nothing and considers life to be meaningless. Similarly, there is also a not-so-subtle difference between a terrorist and an insurgent: an Islamic insurgent believes in something and wants to enforce that agenda in the insurgency-hit regions, whereas a terrorist is simply a bloodthirsty lunatic who is hell-bent on causing death and destruction. The distinguishing feature between the two is that an insurgent has well defined objectives and territorial ambitions, while a terrorist is basically motivated by the spirit of revenge and the goal of causing widespread fear. The phenomena of terrorism is that which threatened the Western countries between 2001 to 2005 when some of the most audacious terrorist acts were carried out by al-Qaeda against the Western targets like the 9/11 tragedy, the Madrid bombing in 2004 and the London bombing in 2005; or the terrorist acts committed by the Islamic State in Europe from 2015 to 2017. However, the phenomena which is currently threatening the Islamic countries is not terrorism, as such, but Islamic insurgencies. Excluding al Qaeda Central which is a known transnational terrorist organization, all the regional militant groups like the Taliban in Afghanistan, al Shabab in Somalia and Boko Haram in Nigeria, and even some of the ideological affiliates of al Qaeda and Islamic State, like Al Qaeda in Arabian Peninsula, Al Qaeda in Islamic Maghreb, the Islamic State affiliates in Afghanistan, Sinai and Libya which have no organizational and operational association with al Qaeda Central or the Islamic State of Iraq and Syria, respectively, are not terror groups, as such, but Islamic insurgents who are fighting for the goals of liberating their homelands from foreign occupation and interference. Nevertheless, after invading and occupying Afghanistan and Iraq, and when the American “nation-building” projects failed in those hapless countries, the US policymakers immediately realized that they were facing large-scale and popularly rooted insurgencies against foreign occupation; consequently, the occupying military altered its CT (counter-terrorism) approach in the favor of a COIN (counter-insurgency) strategy. A COIN strategy is essentially different from a CT approach and it also involves dialogue, negotiations and political settlements, alongside the coercive tactics of law enforcement and military and paramilitary operations on a limited scale. The root factors that are primarily responsible for spawning militancy and insurgency anywhere in the world are not religion but socio-economics, ethnic differences, marginalization of disenfranchised ethno-linguistic and ethno-religious groups and the ensuing conflicts; socio-cultural backwardness of the affected regions, and the weak central control of the impoverished developing states over their remote rural and tribal areas. Additionally, if we take a cursory look at some of the worst insurgency-plagued regions in the Middle East, deliberate funding, training and arming of certain militant groups by regional and global powers for their strategic interests has played the key role. Back in the 1980s, during the Soviet-Afghan war, the Afghan jihadists did not spring up spontaneously out of nowhere; the Western powers, with the help of their regional allies, trained and armed those militants against their archrival, the former Soviet Union. Those very same Afghan “freedom fighters” later mutated into the Taliban and al Qaeda. Similarly, during the proxy wars in Libya and Syria, the Western powers, with the help of their regional client states, once again trained and armed Islamic jihadists and tribal militiamen against the governments of Colonel Gaddafi and Bashar al-Assad. And isn’t it ironic that those very same “moderate rebels” later mutated into Ansar al Sharia, al Nusra Front and the Islamic State? Many have dismissed Saudi Crown Prince Mohammed Bin Salman’s Asia tour to Pakistan, India, and China as nothing more than a post-Khashoggi photo-op to shore up international support, but it’s actually about much more than that because of its religious, economic, and geopolitical dimensions. The visit of the next Custodian of the Two Holy Mosques to the Islamic Republic of Pakistan is intended to strengthen intra-Ummah relations. Similarly, the optics of his trip to India – in spite of the ruling BJP-led government’s anti-Muslim stance – carry with them the hint of inter-civilizational cooperation between a Muslim and Hindu government. 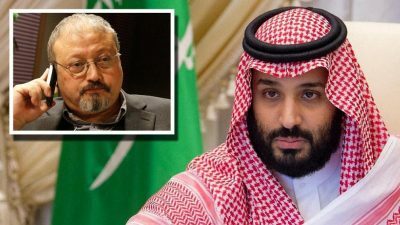 Likewise, MBS’ trip to China shows that he has no problem cooperating with a formally atheist state and doesn’t buy into the Mainstream Media’s fake news about its alleged treatment of the Muslim Uighur. The $20 billion of investments that MBS committed to Pakistan proves that Saudi Arabia has a serious stake in the success of the China-Pakistan Economic Corridor (CPEC). Saudi Arabia sees India as an exciting new partner with enormous potential that his Kingdom can tap into to establish itself as a key player in its long-term rise as an envisaged hemispheric Great Power. The People’s Republic is predicted to play an outsized role in MBS’ ambitious Vision 2030 socio-economic reform agenda, especially when it comes to possibly financing the NEOM future city. Given that Pakistan is the global pivot state, Saudi Arabia clearly wants to play a role in the cutting-edge Eurasian integration processes that Islamabad is expected to lead through its CPEC+ corridors. MBS is mostly interested at this stage in “poaching” India away from Iran by actually turning it into the “client state” that the Mainstream Media falsely fearmongered he intended to do to Pakistan. The success of Vision 2030 and Saudi Arabia’s ultimate transition to a post-oil economy is largely dependent on Chinese support, which will make or break the Kingdom’s future Great Power plans. 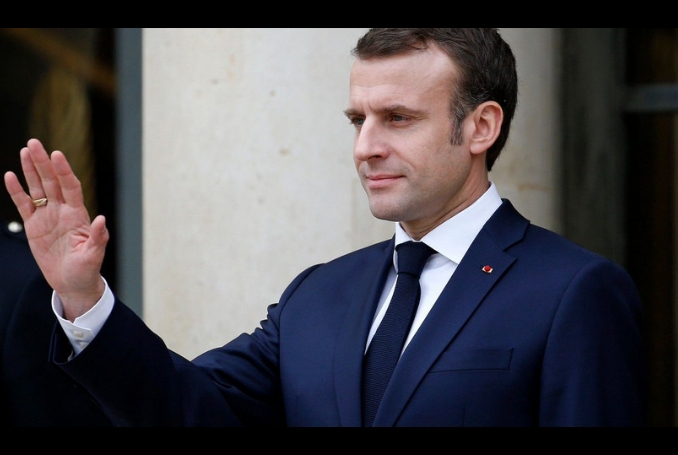 France is to recognize anti-Zionism, the denial of the state of Israel, as a form of anti-Semitism in response to a surge in acts against Jews not seen “since the Second World War”, reports The Telegraph. French president, Emmanuel Macron, also promised new legislation in May to fight hate speech on the internet, which could see platforms such as Facebook and Twitter fined for every minute they fail to take down racist or violent content. That definition stipulates that anti-Semitism can take the form of “denying the Jewish people their right to self-determination, e.g., by claiming that the existence of a State of Israel is a racist endeavor”. Macron: Anti-semitism is at record levels since the Second World War; so I am going to ban anti-Zionism and stop people criticising Israel. Macron’s speech came a day after thousands attended rallies across France to denounce a rise in anti-Semitic acts. The gathering in Poland was attended by officials from 60 countries. Pence pleaded a case for Europe to adopt sanctions and abandon JCPOA, the 2015 Iran nuclear deal. “The time has come for our European partners to withdraw from the Iran nuclear deal and join with us as we bring the economic and diplomatic pressure necessary to give the Iranian people, the region, and the world the peace, security, and freedom they deserve,” Pence said. Using religiously coated language, Pence closed his talk with an invocation for action against Tehran. “I believe with all my heart we can claim that blessing anew for all the people of this region and the world for ourselves and our posterity. If we claim it with faith and we claim it together, I believe God will surely bless us with peace,” Pence said. The specter of American interest in ousting the Iranian leadership hightened yesterday after Israel’s Prime Minister Benjamin Netanyahu said he wanted “war with Iran.” The comment was made to reporters outside of an official session and released in a video that has since been deleted from social media by the Israeli government. An updated translation was later released where the prime minister called for “combatting Iran” and its aggression. Sadly, millions of Americans actually believe Israeli lapdogs like Pence when they make outlandish claims like the Iranians want to build secret nuclear weapons so that they can get every last Israeli Jew in another antisemitic Holocaust. And what explanation do they give for Iran wanting to do this? Apparently, Iranians are just filled with irrational Jew hatred, and they are so blinded by their antisemitism, that they won’t stop until they’ve incinerated every Jew in Israel. Every Muslim in the Middle East wants to destroy Israel and all of its Jews, and every White Christian in Europe and America wants to round up Jews and put them in gas chambers, for no other reason than everyone has nothing better to do than to hate Jews all day long. How could a people who are “obviously” a “light unto the nations” be so universally reviled for no reason? Jews, as beacons of morality, have never done anything that could possibly justify even the smallest of criticisms, and yet every day there is a new Holocaust looming on the horizon. 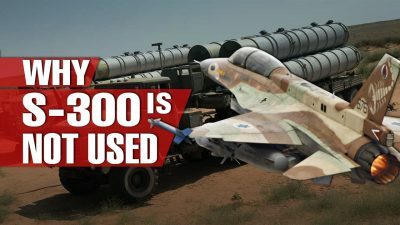 There has been considerable speculation in recent months concerning reasons why the S-300 air defense systems supplied to the Syrian Arab Army by the Russian Federation have yet to fire a shot in anger at Israeli aircraft encroaching on its airspace and launching ordnance against a variety of targets on Syria’s territory. This video attempts to explore a reasonably complete range of explanations. On the one hand, the S-300 batteries in Syria operate under a handicap of operational and political restrictions. However, it would be a mistake to believe that just because missiles are not being launched, that the weapons in question are ineffective. One crucial aspect of Israeli aerial operations is their use of civilian air traffic and also US-led coalition operations to shield their aircraft against Syrian air defenses. It is noteworthy that Russian cruise missile strikes, for example, are invariably preceded by international notifications and closures of relevant airspace in order to prevent tragedies. Israel has not followed similar procedures and has frequently sent its combat aircraft into airspace used by civilian airliners over the Mediterranean and Lebanon. Considering the “international reaction” that would have inevitably followed in the event of a Syrian or Russian air defense shoot-down of a civilian airliner, it is rather likely that rules of engagement used by the Russia-led coalition forces in Syria include strict prohibitions against engaging hostile aircraft when there is even a remote danger to civilian aircraft. The loss of Russian Il-20 with its entire crew to a Syrian air defense missile clearly shows the dangers of engaging remote targets in a crowded airspace. Few examples illustrate the hypocrisy of Western powers’ supposed belief in the sanctity of national sovereignty better than its condoning of near-constant Israeli violations of Lebanese airspace. While that country’s territorial sovereignty is rarely challenged by Israel largely thanks to Hezbollah’s ability to inflict severe casualties on the IDF, neither Hezbollah nor the Lebanese military possess an air force or an air defense system capable of doing the same for the country’s airspace. This allows Israeli aircraft to use Lebanon’s terrain features, specifically the mountain ranges flanking the Bekaa Valley, as a shield against long-range air defense systems. Israeli aircraft using stand-off munitions such as the SDB or Delilah are able to position themselves close to their targets by flying below the Syrian radar horizon, then popping up to launch their GPS-guided weapons before dropping down below the horizon to return to base. In order to deny Israel that ability, Syria and Russia would have to extend their air defense network to the Bekaa Valley and/or patrol it using their own fighter aircraft, a measure that would likely provoke “international condemnation” and risk a massive escalation of the conflict. By the same token, the “international community” has imposed a de-facto embargo on the provision of modern weapons systems of any kind to the state of Lebanon, rendering it unable to defend itself against Israeli incursions. Further complicating matters is the fact that the Russian foreign policy is attempting an extremely difficult task of maintaining reasonably good relations with both Israel and Iran in order to achieve its foreign policy objectives and bring the war in Syria to a successful conclusion. It really is a testimony to the skill and perseverance of Russian diplomats that it has managed to remain in good standing with both of these states. No other major power can claim a similar success. But the downside of this kind of diplomacy is that it makes Russia, and therefore, by extension Syria (over whose national air defense system Russia exercises considerable control simply in order to safely operate its own aircraft) unwilling to engage Israeli aircraft except in the extreme cases of Israel attacking Russian bases or assets in the area. Israel, for its part, has refrained from striking Russian and high-value Syrian targets which does suggest there exists something akin to an understanding between Russia and Israel that was reached in the wake of the aforementioned loss of the Il-20. That loss led to a serious, though apparently temporary, deterioration of Russia-Israel relations. Fortunately Israel’s leaders value Russia’s good will, which is evidenced by Netanyahu’s nine meetings with Vladimir Putin in the space of 3 years and so far have been unwilling to risk even their brand-new F-35s against the S-300s. The combination of these political factors has limited Israel’s attacks against Syrian territory, which is also a contributing factor to the apparent idleness of the S-300 batteries. As if these problems were not enough, it doesn’t help matters that Iran is pursuing a range of objectives of its own, which may not be consistent with Syrian and Russian interests. One visible example of the relatively low level of trilateral cooperation was the abrupt cancellation of the permission given to the Russian Aerospace Forces to use an airbase on Iranian territory to enhance the effectiveness of bombers operating from Russia against targets in Syria. While Iran’s efforts to ensure its security vis-à-vis the United States, Saudi Arabia, and Israel are understandable, given the brutal nature of the power struggle in the region, in practical terms it means that Russia’s leadership does not feel an obligation to protect Iranian assets in Syria every time Israel attacks them. There certainly is no evidence of any security agreement between Russia and Iran suggesting a commitment to mutual defense. The dependence on Iran-provided or Iran-supported manpower in the form of IRGC troops, Hezbollah, or Shia militias has moreover meant that Russia had relatively few levers of influence over Iranian policies in the region, since Iran’s ability and willingness to put “boots on the ground” in Syria made it an indispensable part of that loose alliance. To the extent that there exists an understanding between Russia and Iran in matters regarding Syria, it seems to consist of Russia giving Iran a more or less free hand to do as it pleases, in return for Iran not expecting Russian air cover for its activities which in turn allows Russia to remain on good terms with Israel whose goodwill it definitely needs to end the war in Syria. While the situation remains relatively stable with few escalation risks, it cannot be said it is a satisfactory state of affairs because considerable ambiguities remain and will remain for the foreseeable future. Iranian forces in Syria will remain indispensable to that country’s security for as long as US forces remain in Syria and the status of Syria’s northern provinces controlled by insurgent groups supported by Turkey remains unresolved. Until these issues are addressed, the S-300 batteries in Syria will continue to play their part in maintaining this uneasy equilibrium. These days, the trade “war” between the Trump administration and China is regularly in the headlines and, sometimes, so are the bases the Chinese are building in the South China Sea, the ships the U.S. Navy is sending ever more provocatively close to them, and the potential clashes that might result. But the global nature of the growing conflict between Washington and Beijing has yet to be fully taken in. As it happens, at this moment, it extends from Greenland (I’m serious!) to Argentina (I’m serious again!). In Greenland, still a self-ruling part of Denmark, a panicked U.S. military and Trump administration recently turned back a Chinese plan to help bankroll and build three airports. In fact, the Pentagon itself actually offered to invest in Greenland’s airport infrastructure. Otherwise, military officials feared, China might secure an economic foothold at the far end of what that self-proclaimed “Near-Arctic State” has dubbed its future “Polar Silk Road” or “blue economic passage” across the melting north. And far worse, as the Wall Street Journal put it (undoubtedly reflecting the fears of Pentagon officials), China could have ended up with “a military foothold off Canada’s coast” — that is, the sort of military base that the U.S. already has in Greenland, the northernmost of its 800 or so bases across the planet. Think of these Chinese forays at the planet’s antipodes, one aborted, one successful, and the hypersensitive Washington response to each of them as signs of a genuinely rising power and also of the heightening of potential conflicts between it and the still reigning superpower. 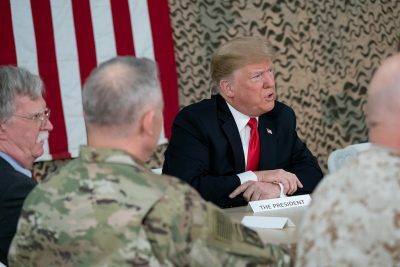 I’m talking, of course, about the previously “exceptional” and “indispensable” country that Donald Trump swears he’ll make “great again.” In the process, as TomDispatch regular Michael Klare makes strikingly clear today, both countries are plunging into what can only be thought of as a new kind of war that could prove hot indeed before it’s over. In his highly acclaimed 2017 book, Destined for War, Harvard professor Graham Allison assessed the likelihood that the United States and China would one day find themselves at war. Comparing the U.S.-Chinese relationship to great-power rivalries all the way back to the Peloponnesian War of the fifth century BC, he concluded that the future risk of a conflagration was substantial. Like much current analysis of U.S.-Chinese relations, however, he missed a crucial point: for all intents and purposes, the United States and China are already at war with one another. Even if their present slow-burn conflict may not produce the immediate devastation of a conventional hot war, its long-term consequences could prove no less dire. Well, think again in this new era of growing great-power struggle and competition. Today, war means so much more than military combat and can take place even as the leaders of the warring powers meet to negotiate and share dry-aged steak and whipped potatoes (as Donald Trump and Xi Jinping did at Mar-a-Lago in 2017). That is exactly where we are when it comes to Sino-American relations. Consider it war by another name, or perhaps, to bring back a long-retired term, a burning new version of a cold war. Even before Donald Trump entered the Oval Office, the U.S. military and other branches of government were already gearing up for a long-term quasi-war, involving both growing economic and diplomatic pressure on China and a buildup of military forces along that country’s periphery. Since his arrival, such initiatives have escalated into Cold War-style combat by another name, with his administration committed to defeating China in a struggle for global economic, technological, and military supremacy. This includes the president’s much-publicized “trade war” with China, aimed at hobbling that country’s future growth; a techno-war designed to prevent it from overtaking the U.S. in key breakthrough areas of technology; a diplomatic war intended to isolate Beijing and frustrate its grandiose plans for global outreach; a cyber war (largely hidden from public scrutiny); and a range of military measures as well. This may not be war in the traditional sense of the term, but for leaders on both sides, it has the feel of one. The media and many politicians continue to focus on U.S.-Russian relations, in large part because of revelations of Moscow’s meddling in the 2016 American presidential election and the ongoing Mueller investigation. Behind the scenes, however, most senior military and foreign policy officials in Washington view China, not Russia, as the country’s principal adversary. In eastern Ukraine, the Balkans, Syria, cyberspace, and in the area of nuclear weaponry, Russia does indeed pose a variety of threats to Washington’s goals and desires. Still, as an economically hobbled petro-state, it lacks the kind of might that would allow it to truly challenge this country’s status as the world’s dominant power. China is another story altogether. With its vast economy, growing technological prowess, intercontinental “Belt and Road” infrastructure project, and rapidly modernizing military, an emboldened China could someday match or even exceed U.S. power on a global scale, an outcome American elites are determined to prevent at any cost. In other words, there can never be parity between the two countries. The only acceptable status for China is as a distinctly lesser power. To ensure such an outcome, administration officials insist, the U.S. must take action on a daily basis to contain or impede its rise. In previous epochs, as Allison makes clear in his book, this equation — a prevailing power seeking to retain its dominant status and a rising power seeking to overcome its subordinate one — has almost always resulted in conventional conflict. In today’s world, however, where great-power armed combat could possibly end in a nuclear exchange and mutual annihilation, direct military conflict is a distinctly unappealing option for all parties. Instead, governing elites have developed other means of warfare — economic, technological, and covert — to achieve such strategic objectives. 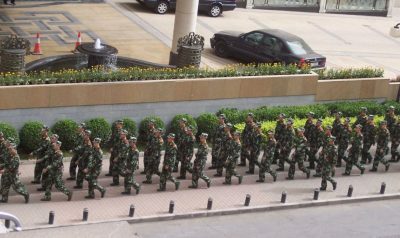 Viewed this way, the United States is already in close to full combat mode with respect to China. When it comes to the economy, the language betrays the reality all too clearly. 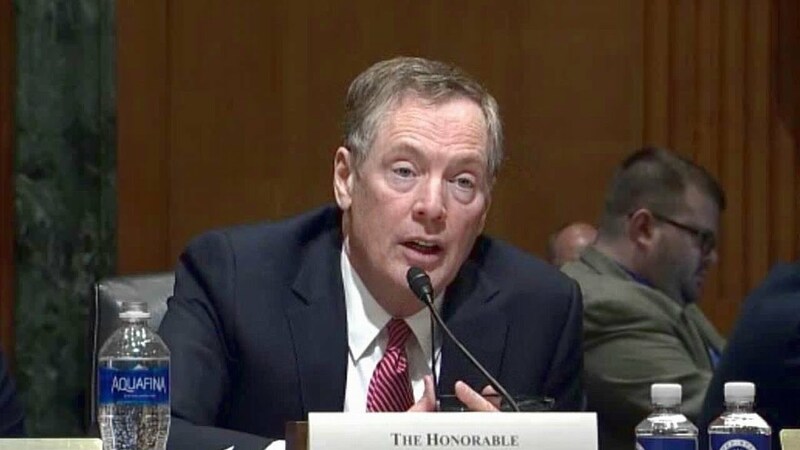 The Trump administration’s economic struggle with China is regularly described, openly and without qualification, as a “war.” And there’s no doubt that senior White House officials, beginning with the president and his chief trade representative, Robert Lighthizer (image on the right), see it just that way: as a means of pulverizing the Chinese economy and so curtailing that country’s ability to compete with the United States in all other measures of power. Ostensibly, the aim of President Trump’s May 2018 decision to impose $60 billion in tariffs on Chinese imports (increased in September to $200 billion) was to rectify a trade imbalance between the two countries, while protecting the American economy against what is described as China’s malign behavior. 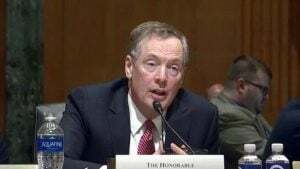 Its trade practices “plainly constitute a grave threat to the long-term health and prosperity of the United States economy,” as the president put it when announcing the second round of tariffs. opening up its service and agricultural sectors — areas where Chinese firms have an inherent advantage — to full American competition. In fact, this should be considered a straightforward declaration of economic war. Acquiescing to such demands would mean accepting a permanent subordinate status vis-à-vis the United States in hopes of continuing a profitable trade relationship with this country. “The list reads like the terms for a surrender rather than a basis for negotiation,” was the way Eswar Prasad, an economics professor at Cornell University, accurately described these developments. As suggested by America’s trade demands, Washington’s intent is not only to hobble China’s economy today and tomorrow but for decades to come. This has led to an intense, far-ranging campaign to deprive it of access to advanced technologies and to cripple its leading technology firms. Chinese leaders have long realized that, for their country to achieve economic and military parity with the United States, they must master the cutting-edge technologies that will dominate the twenty-first-century global economy, including artificial intelligence (AI), fifth-generation (5G) telecommunications, electric vehicles, and nanotechnology. Not surprisingly then, the government has invested in a major way in science and technology education, subsidized research in pathbreaking fields, and helped launch promising startups, among other such endeavors — all in the very fashion that the Internet and other American computer and aerospace innovations were originally financed and encouraged by the Department of Defense. Chinese companies have also demanded technology transfers when investing in or forging industrial partnerships with foreign firms, a common practice in international development. India, to cite a recent example of this phenomenon, expects that significant technology transfers from American firms will be one outcome of its agreed-upon purchases of advanced American weaponry. In addition, Chinese firms have been accused of stealing American technology through cybertheft, provoking widespread outrage in this country. Realistically speaking, it’s difficult for outside observers to determine to what degree China’s recent technological advances are the product of commonplace and legitimate investments in science and technology and to what degree they’re due to cyberespionage. Given Beijing’s massive investment in science, technology, engineering, and mathematics education at the graduate and post-graduate level, however, it’s safe to assume that most of that country’s advances are the result of domestic efforts. Certainly, given what’s publicly known about Chinese cybertheft activities, it’s reasonable for American officials to apply pressure on Beijing to curb the practice. However, the Trump administration’s drive to blunt that country’s technological progress is also aimed at perfectly legitimate activities. For example, the White House seeks to ban Beijing’s government subsidies for progress on artificial intelligence at the same time that the Department of Defense is pouring billions of dollars into AI research at home. The administration is also acting to block the Chinese acquisition of U.S. technology firms and of exports of advanced components and know-how. In an example of this technology war that’s made the headlines lately, Washington has been actively seeking to sabotage the efforts of Huawei, one of China’s most prominent telecom firms, to gain leadership in the global deployment of 5G wireless communications. Such wireless systems are important in part because they will transmit colossal amounts of electronic data at far faster rates than now conceivable, facilitating the introduction of self-driving cars, widespread roboticization, and the universalapplication of AI. Second only to Apple as the world’s supplier of smartphones and a major producer of telecommunications equipment, Huawei has sought to take the lead in the race for 5G adaptation around the world. Fearing that this might give China an enormous advantage in the coming decades, the Trump administration has tried to prevent that. 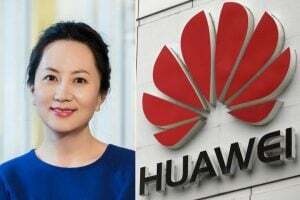 In what is widely described as a “tech Cold War,” it has put enormous pressure on both its Asian and European allies to bar the company from conducting business in their countries, even as it sought the arrest in Canada of Huawei’s chief financial officer, Meng Wanzhou, and her extradition to the U.S. on charges of tricking American banks into aiding Iranian firms (in violation of Washington’s sanctions on that country). Other attacks on Huawei are in the works, including a potential banon the sales of its products in this country. 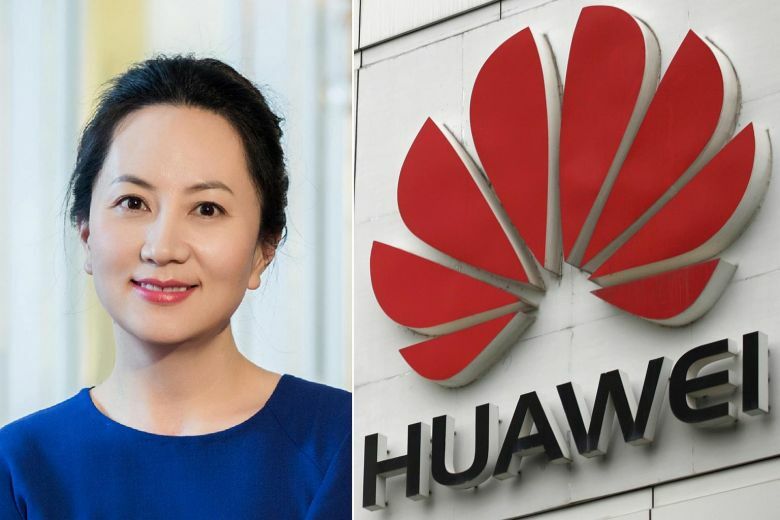 Such moves are regularly described as focused on boosting the security of both the United States and its allies by preventing the Chinese government from using Huawei’s telecom networks to steal military secrets. The real reason — barely disguised — is simply to block China from gaining technological parity with the United States. There would be much to write on this subject, if only it weren’t still hidden in the shadows of the growing conflict between the two countries. Not surprisingly, however, little information is available on U.S.-Chinese cyberwarfare. All that can be said with confidence is that an intense war is now being waged between the two countries in cyberspace. American officials accuse China of engaging in a broad-based cyber-assault on this country, involving both outright cyberespionage to obtain military as well as corporate secrets and widespread political meddling. “What the Russians are doing pales in comparison to what China is doing,” said Vice President Mike Pence last October in a speech at the Hudson Institute, though — typically on the subject — he provided not a shred of evidence for his claim. Not disclosed is what this country is doing to combat China in cyberspace. All that can be known from available information is that this is a two-sided war in which the U.S. is conducting its own assaults. “­The United States will impose swift and costly consequences on foreign governments, criminals, and other actors who undertake significant malicious cyber activities,” the 2017 National Security Strategy affirmed. What form these “consequences” have taken has yet to be revealed, but there’s little doubt that America’s cyber warriors have been active in this domain. Completing the picture of America’s ongoing war with China are the fierce pressures being exerted on the diplomatic and military fronts to frustrate Beijing’s geopolitical ambitions. To advance those aspirations, China’s leadership is relying heavily on a much-touted Belt and Road Initiative, a trillion-dollar plan to help fund and encourage the construction of a vast new network of road, rail, port, and pipeline infrastructure across Eurasia and into the Middle East and Africa. By financing — and, in many cases, actually building — such infrastructure, Beijing hopes to bind the economies of a host of far-flung nations ever closer to its own, while increasing its political influence across the Eurasian mainland and Africa. As Beijing’s leadership sees it, at least in terms of orienting the planet’s future economics, its role would be similar to that of the Marshall Plan that cemented U.S. influence in Europe after World War II. “China uses bribes, opaque agreements, and the strategic use of debt to hold states in Africa captive to Beijing’s wishes and demands,” National Security Advisor John Bolton claimed in a December speech on U.S. policy on that continent. “Its investment ventures are riddled with corruption,” he added, “and do not meet the same environmental or ethical standards as U.S. developmental programs.” Bolton promised that the Trump administration would provide a superior alternative for African nations seeking development funds, but — and this is something of a pattern as well — no such assistance has yet materialized. In addition to diplomatic pushback, the administration has undertaken a series of initiatives intended to isolate China militarily and limit its strategic options. In South Asia, for example, Washington has abandoned its past position of maintaining rough parity in its relations with India and Pakistan. In recent years, it’s swung sharply towards a strategic alliance with New Dehli, attempting to enlist it fully in America’s efforts to contain China and, presumably, in the process punishing Pakistan for its increasingly enthusiastic role in the Belt and Road Initiative. In the Western Pacific, the U.S. has stepped up its naval patrols and forged new basing arrangements with local powers — all with the aim of confining the Chinese military to areas close to the mainland. In response, Beijing has sought to escape the grip of American power by establishing miniature bases on Chinese-claimed islands in the South China Sea (or even constructing artificial islands to house bases there) — moves widely condemned by the hawks in Washington. To demonstrate its ire at the effrontery of Beijing in the Pacific (once known as an “American lake”), the White House has ordered an increased pace of so-called freedom-of-navigation operations (FRONOPs). Navy warships regularly sail within shooting range of those very island bases, suggesting a U.S. willingness to employ military force to resist future Chinese moves in the region (and also creating situations in which a misstep could lead to a military incident that could lead… well, anywhere). As Admiral Davidson suggests, one possible outcome of the ongoing cold war with China could be armed conflict of the traditional sort. Such an encounter, in turn, could escalate to the nuclear level, resulting in mutual annihilation. A war involving only “conventional” forces would itself undoubtedly be devastating and lead to widespread suffering, not to mention the collapse of the global economy. Even if a shooting war doesn’t erupt, however, a long-term geopolitical war of attrition between the U.S. and China will, in the end, have debilitating and possibly catastrophic consequences for both sides. Take the trade war, for example. If that’s not resolved soon in a positive manner, continuing high U.S. tariffs on Chinese imports will severely curb Chinese economic growth and so weaken the world economy as a whole, punishing every nation on Earth, including this one. High tariffs will also increase costs for American consumers and endanger the prosperity and survival of manyfirms that rely on Chinese raw materials and components. Perhaps the greatest victim of this ongoing conflict will be planet Earth itself and all the creatures, humans included, who inhabit it. As the world’s top two emitters of climate-altering greenhouse gases, the U.S. and China must work together to halt global warming or all of us are doomed to a hellish future. With a war under way, even a non-shooting one, the chance for such collaboration is essentially zero. The only way to save civilization is for the U.S. and China to declare peace and focus together on human salvation. Donald Trump‘s emergency declaration is a blatant abuse of power in the service of his anti-immigrant agenda. No president has ever tried this before. 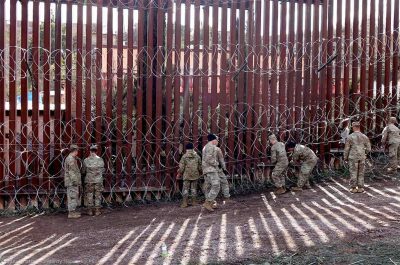 President Donald Trump declared a “national emergency” on Friday to pay for his border wall. In doing so, he’s violating the law, subverting the Constitution and hurting American communities. That’s why we’re taking him to court. Trump added that his reason for the declaration was that he wanted to build the wall “much faster.” But that’s not how our democratic system works. Congress considered his desire for $5.7 billion in wall funding — and rejected it, instead appropriating $1.375 billion for new border barriers. The president cannot now try to get his way by unilaterally taking money that Congress has already budgeted for other things. The Constitution assigns Congress the power of the purse. Members of Congress fight to secure funding for national priorities and their constituents’ needs during the yearly budget battles that dominate Washington for months. The system is far from perfect, but it’s the way it works in our democracy. If Congress doesn’t give him what he wants, the president can’t do an end run by diverting public money for a campaign promise for which he has failed to secure funding. That’s clearly not what’s happening here. Besides the fact that there isn’t actually an emergency, Trump’s declaration doesn’t say how a diversion of military construction funds is necessary to support the armed forces. No president has ever tried to use emergency powers to fund a massive and permanent domestic project like this. Trump is also trying to take money from funds seized by the government through anti-drug operations and forfeitures. But Congress has passed laws dictating that this money must be used only for certain law enforcement purposes. It’s not a slush fund that can be used to finance presidents’ unfulfilled campaign promises. We filed a lawsuit on behalf of the Sierra Club and the Southern Border Communities Coalition to stop the irreparable harm their members will suffer if Trump’s illegal border wall construction plan is allowed to proceed. The coalition’s members live near the border in California, Arizona, New Mexico and Texas. A wall would heighten divisions in border communities and promote hostility towards immigrants and communities of color in border areas. It would also increase the risk of flooding and threaten residents’ access to clean water, clean air and other natural resources. In moving forward with an unauthorized border wall, the Trump administration is ignoring decades-old environmental and public safety laws that safeguard the places, species and values that Sierra Club members work to preserve. Trump’s emergency declaration is a blatant abuse of power in the service of his anti-immigrant agenda and a brazen attempt to subvert the constitutional separation of powers. The federal treasury isn’t a bank account that the president can just raid whenever he’s in a bind. It’s taxpayer money that the Framers specifically left in the hands of Congress. Trump is seeking to thwart Congress’ will. Now we are asking the courts to give Trump another lesson in how the Constitution works. The government also announced a rival peace concert and plans to supply food and medical attention to poor Colombians as the border heats up. 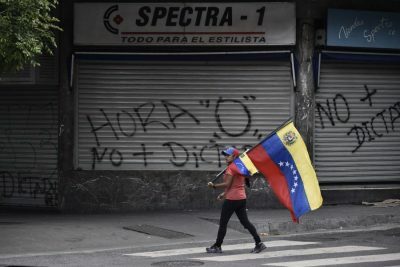 Venezuela’s armed forces have responded angrily Tuesday to threats made against them by US President Donald Trump and calls to break the chain of command. “If [the Venezuelan soldiers] choose this path [of loyalty to the government] they will find no refuge, they will lose everything,” Trump told reporters and Venezuelan immigrants in Florida. “When a president of another country comes and tries to give orders to [our] Armed Forces, he is underestimating them disrespectfully (…) It is incredulous,” Venezuela’s Padrino Lopez responded. Guaido’s efforts to seize power from Maduro have continued on the diplomatic front, with reports on Wednesday morning that his appointed representative to Costa Rica, Maria Faria, had “taken control” of the Venezuelan embassy in San Jose. “We have come to the Embassy to advance with the process of transition which is being led by Venezuela’s National Assembly and President Juan Guaido,” she told press in San Jose. Existing embassy staff were working “irregularly,” she went on to affirm. It is unclear if any confrontation with embassy staff took place. Venezuelan Foreign Minister Jorge Arreaza issued a statement rejecting the actions taken by the opposition sympathizers of Guaido, reminding Costa Rica that his team enjoy diplomatic immunity and invoking Costa Rica’s responsibilities under the Convention of Diplomatic Relations and the Vienna Convention. He urged San Jose to “assume the correct side of the international conventions and to avoid a violent situation stimulated by factors of the Venezuelan opposition.” For their part, Costa Rican authorities criticised the move, with Vice-Foreign Minister Lorena Aguilar calling it “unacceptable” and a break of diplomatic norms. Aguilar went on to express her “strong rejection” of Faria’s actions for not respecting the 60 days that had been given to the Venezuelan diplomatic corps to leave the country. Following his formal recognition by around 25 percent of the world’s governments, Guaido’s team has proceeded to name “diplomatic representatives” to a number of European countries Tuesday, including the UK (Paolo Romero), Belgium (Mary Ponte), the Netherlands (Gloria Notario), Germany (Otto Gebauer), France (Isadora de Zubillaga), Portugal (Jose Rafael Cotte), Spain (Antonio Ecarri), Sweden (Leon Poblete) and Austria (Williams Davila). He also named representatives to Australia, Luxembourg, Romania, Andorra, the Dominican Republic, Malta and Denmark. In late January, Guaido named representatives to a number of Latin and North American nations. María Faría (centre, black jacket) took control of the Venezuelan Embassy in Costa Rica alongside a team of legal advisors (Courtesy, La Nacion). A number of European countries also pledged to support Washington’s efforts to deliver humanitarian aid across the Venezuelan border this upcoming February 23, donating a total of US $18 million between them. In a press conference held in Caracas, the ambassadors of France, Spain, the UK, Italy and Germany all reaffirmed their support for attempts to bring in humanitarian aid, which have been shunned by the United Nations, War Child, Oxfam and the Red Cross as being “politicised.” President Maduro has refused to allow the “aid” to enter, claiming that it is a spark for US intervention. Adding to the White House’s efforts, Germany is to pledge €5 million, Italy US $2 million and the UK US $8.5 million to the aid plans led by the US Agency for International Development (USAID), it was reported Tuesday. Brazil also announced it will be warehousing aid in its border town of Pacaraima. The measure comes as part of Operation Sentinel, which the Armed Forces use to protect the country’s sovereignty across the national territory. To support efforts in bringing aid across the border into the country, Venezuela’s opposition is organising a large international concert in the Colombian city of Cucuta on Saturday, only eight kilometres from the Venezuelan border. The concert, which is being financed by British media mogul and Virgin CEO Richard Branson, is being branded as “Live Aid for Venezuela.” Latin singers Alejandro Sanz, Nacho, Luis Fonsi and Maluma have all confirmed that they will be performing. “It has to do with Richard Branson … having bought the US saying, ‘We have decided to take over Venezuela, for whatever our reasons may be’ … Do we really want Venezuela to turn in to another Iraq or Syria or Libya? I don’t and neither do the Venezuelan people,’” Waters said in a message on social media. The government’s concert will be accompanied by a range of social programs which Venezuelan President Maduro is planning to set up which will focus on poor citizens of Colombia’s Northern Santander region and it’s capital Cucuta. The government has also pledged to distribute 20,000 subsidised CLAP food boxes to the Colombian border community between Friday and Sunday, and to provide free medical appointments with the assistance of the Cuban medical mission in Venezuela, including paediatricians, surgeons and dentists. Venezuelan authorities quoted data from the Colombian National Administrative Statistics Departmentwhich indicate that poverty in North Santander province of Colombia runs at 40 percent, extreme poverty at 8.5 percent. It also states that there are more than 20,000 children working in the streets and that 15 percent of children have chronic malnutrition in the province.